Driving directions : From Dong Seoul Bus Terminal (Gangbyeon station, Subway Line 2). Take an intercity bus to Andong. From Andong Intercity Bus Terminal, take bus 67. 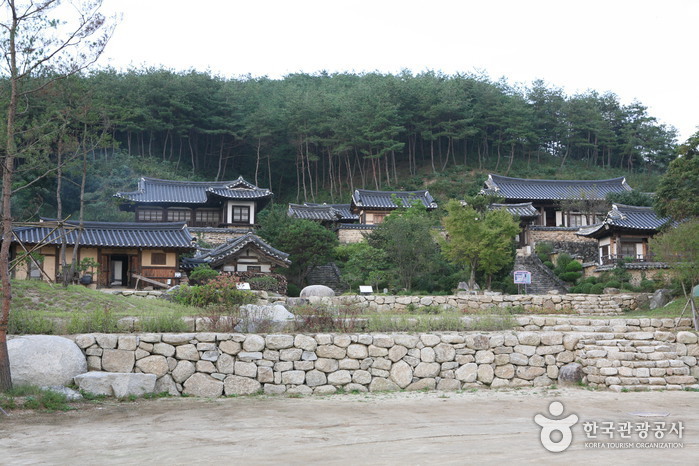 Take a taxi to Andong Gunja Village (30min). 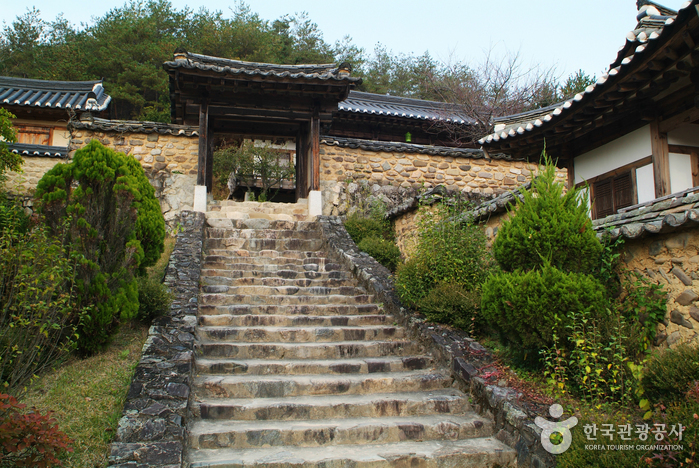 The Ye-an branch of the Gwangsan Kim clan’s founder, Sir Hyo-ro Kim created this village Descendents of the family have resided in the village ever since. 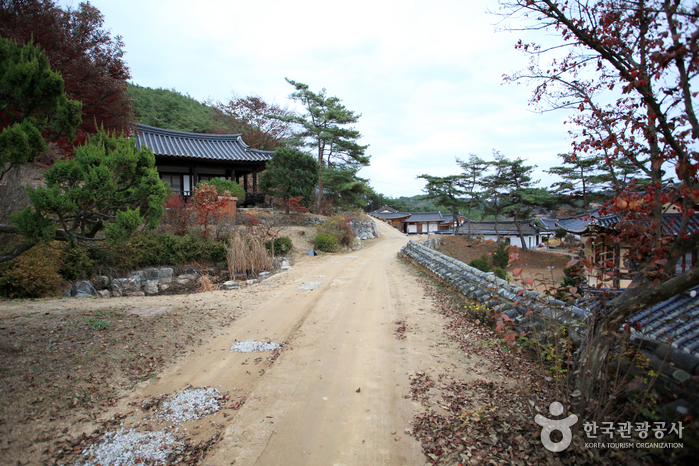 In 1974, when the Andong Dam was constructed, the village was moved from Ye-an Myeon, Andong to Waryong Myeon, Andong in its original form. 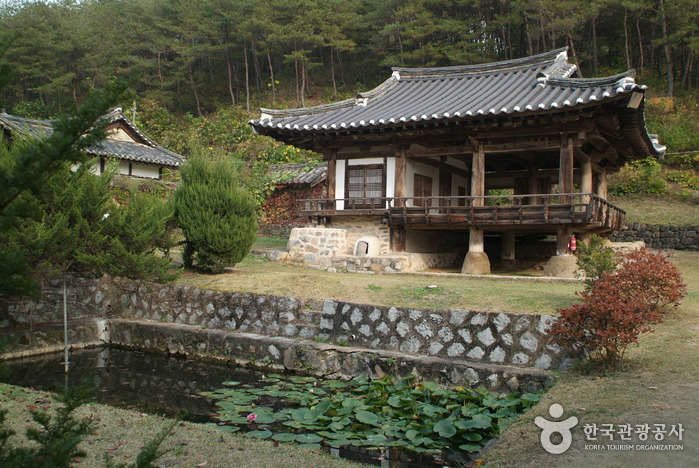 Located between these two points are the designated national cultural heritage sites of Takcheongjeong Pavilion and Hujodang Annexed House. 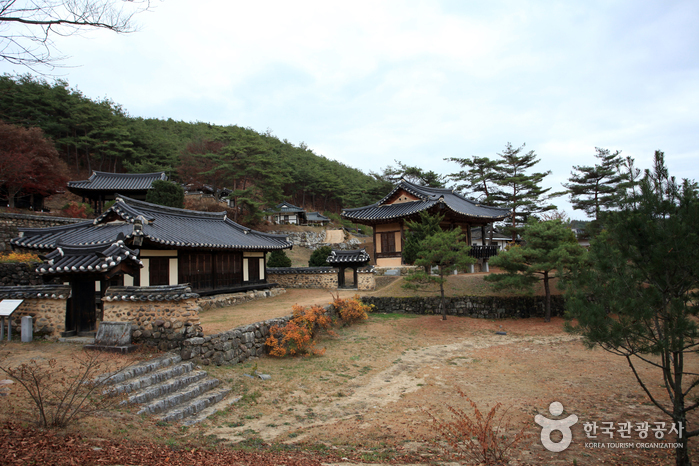 On display at the Sungwongak Pavilion Exhibition Hall are rare archives from the family’s history. Some of these documents on display include family records, estate documents and servant records. Among these writings, there are 7 varieties of ancient writings showing up in 429 pieces. There are also 13 varieties showing up in 61 records that are designated treasures. 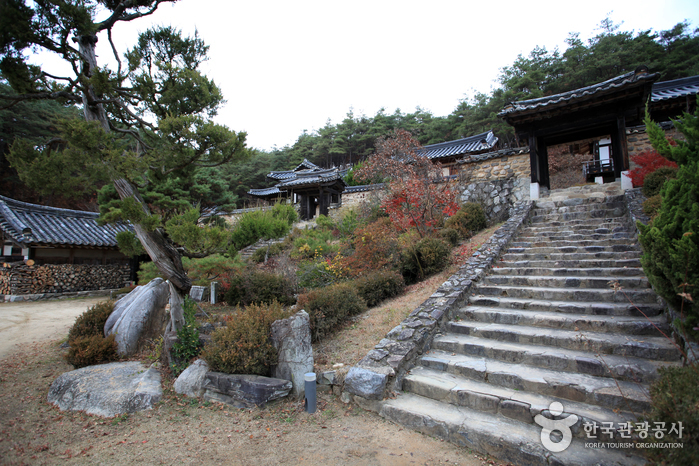 This house belongs to the head residence of the Ye-an branch of the Gwangsan Kim clan. 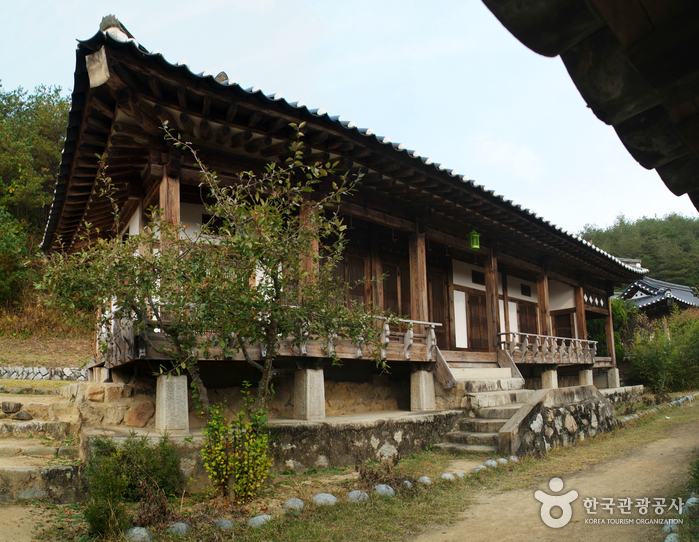 The exact age of the house in unknown but it was built by Bupil Kim who lived from 1516~1577. 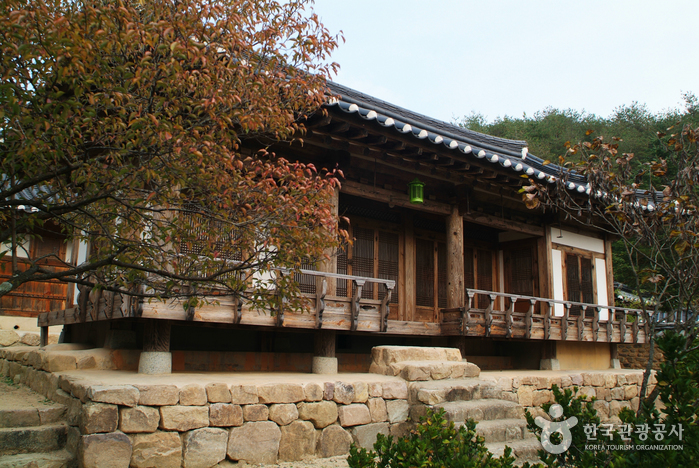 This structure was built separately from the main house. The annexed living quarters were divided into interior and exterior areas. The exterior quarters were used for the male head of the household as a place for relaxation or social gatherings. 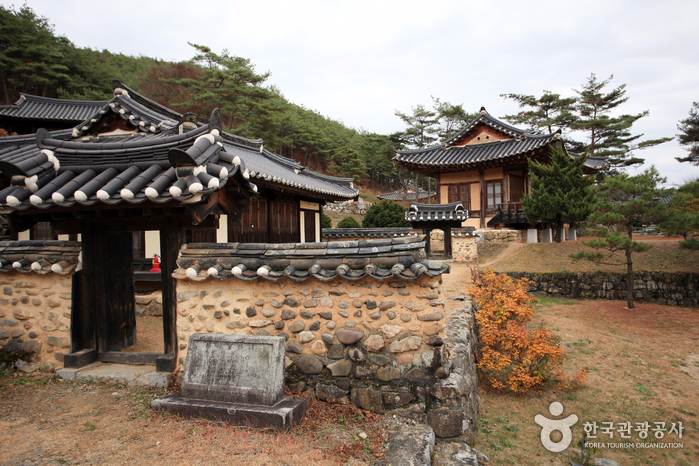 The interior quarters were used as a place for elderly women or girls of marriage age to stay. 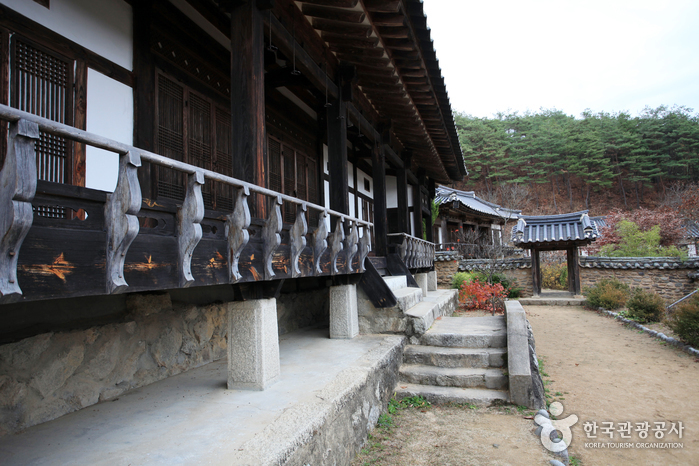 Hujodang Annexed living quarters were exterior quarters. ※ Free: Seniors and visitors taking part in experience programs. Reservation is required for groups of 10 people or more.